US State Department spokesperson Ms Heather Nauert joined in the criticism of many other nations over Greece’s leftwing government’s decision to soften the prison regime of known terrorist Mr Dimitris Koufodinas , the ‘hitman’ of the ‘November 17’ terrorist organization who is held responsible for murdering several US military personnel during bombings and attacks in the 1980s and 1990s. 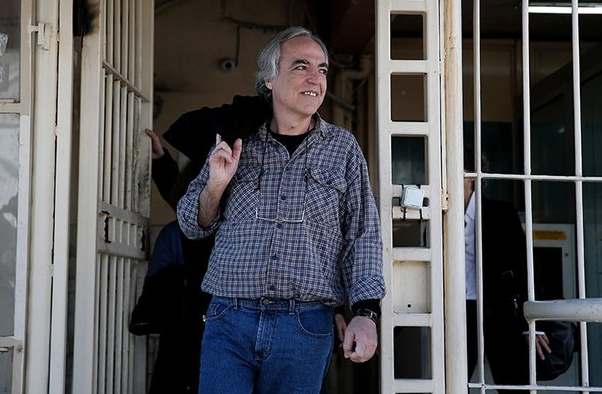 The US State Department earlier this year also criticized the Greek government’s decision to grant Mr Koufodinas a 48-hour furlough from prison. During the 1980s, the Hellenic Marxist-Leninist revolutionaries of ’17 November’ were at the top of America’s most wanted list as they were responsible for the kidnap and subsequent murder of, amongst others, local Athens CIA Chief Mr Richard Welch (who was shot by three men in front of his wife), US Navy Captain William Nordeen (whose car was destroyed by a car bomb a few meters from his residence) and US Air Force Sergeant Ronald O. Stewart (who was killed by a remotely-detonated bomb outside his apartment). Mr Koufodinas, the organization’s chief hit man who was dubbed “Poison Hand” because of his good usage of guns, openly confessed to the crimes after he was caught and always failed to show any remorse. He was sentenced to several life sentences without parole. The timing of the government’s decision also is astonishing as the country is still reeling with the aftermath of the forest fires that killed 92. Related coverage: <a href="https://thegoldwater.com/news/32370-Greece-Death-Toll-Of-Athens-Fires-Nears-100-Whole-Villages-Burnt-Video">Greece death toll of Athens fires nears 100</a>. Ms Dora Bakoyiannis, the former Greek Foreign Minister during the period of the attacks in the 1980s stated that it was incredible that the government would be busy transferring “the N17 serial killer to a luxury jail” when it should be busy with fire safety. The November 17 terrorist organization is held responsible for murdering 23 people. It was named to honor the student uprising on 17 November 1974 against the military dictatorship of Greece at the time. Britain, who also saw several diplomats murdered by the group, has not yet reacted. Greece got too many gibs for their Socialist parasitic population.